In popular Western thinking ghosts are believed to be the souls of people who have died and without going to heaven or hell, wander the earth appearing to and haunting the living. Christian theology accepts the reality of ghosts and forbids trying to contact them (Deuteronomy 18,11). When Jesus reappeared after his death his disciples initially thought he was a ghost (Luke 24,37-39). The Pali word peta is often translated as ‘ghost’ but as ghosts and petas differ significantly from each other, to do so would seem to be unjustified and confusing. A better rendering of peta would be ‘hungry spirit’. 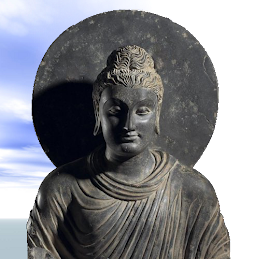 According to the Buddha, beings exist as either humans, animals, gods, angry spirits, hungry spirits or purgatorial beings. Rebirth in one or another of these states depends on the kamma one has generated by one’s intentional thoughts, speech and actions. The excessively greedy, constantly dissatisfied and hankering person may well be reborn as a hungry spirit. The Tipitaka gives only brief descriptions of these spirits but in one place a leper is described as being ‘a peta-like human’ (manussapeta, Ja.V,68), indicating that they are rather miserable beings. There is no suggestion in the Buddhist scriptures that hungry spirits can haunt humans or can be ‘conjured up’ or contacted. However, they can, apparently, be sensitive to what their living relatives may be thinking or feeling about them. 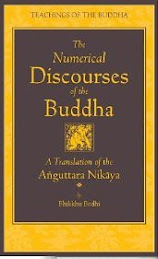 The importance of hungry spirits in the Buddha's thinking can be judged by the fact that he considered talking about them (petakatha) to be an unbecoming and unskillful type of speech (D.I,8). 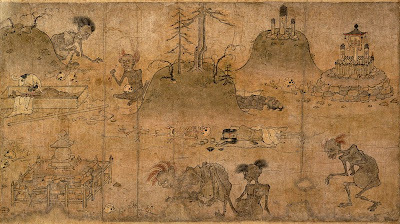 The picture shows hungry spirits as imagined by a late medieval Japanese artist. The swollen belly and small neck or mouth suggesting that the amount of sustenance consumed can never satisfy the hunger, is common to the conception of hungry spirits in all Buddhist traditions. 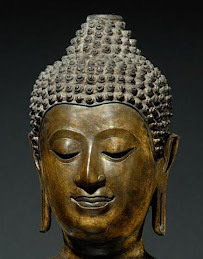 Bhante, if I might ask a polite if slightly impertinent question ... many Buddhists often like to portray their faith as a modern religion with a rationalist bent, capable of coexisting with modern science. Yet belief in petas sits ill at ease with either rationalism or science. To repeat a quote that you yourself posted on July 4, 2009, "The invisible and the non-existent look very much alike." (Delos B. McKown) Surely this quote would apply to petas. 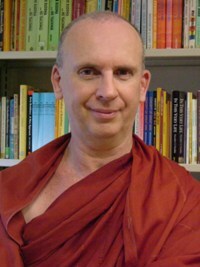 Given that one cannot see a peta, do any sort of scientific test to confirm their existence, or fit their existence into what we know of modern science, is it reasonable for a modern Buddhist to believe in these entities? If so, I feel I'm being asked to take something on faith, or to apply a standard of evidence that I wouldn't accept coming from another religion. 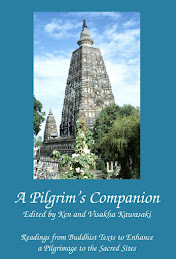 If belief in petas is not justifiable today, what sense do we make of the Buddha's statements regarding them? Could they be meant allegorically? Is to be reborn as a peta the same as having a desperate, craving state of mind in this very life, as Buddhadasa suggested?